Whether it is in remote villages of Mexico or secluded communities deep in the jungles of Haiti, God always finds a way to make Himself present to deliver a powerful and relevant message. If the saying “travel broadens the mind” is true, then mission work enriches the spirit. I know that the planning of every mission trip has some divine intervention, but in some ways I feel like our trip literally fell from the sky. We were so fortunate to be involved with a number of people who were so generous with donations and wanted to help out in any way possible. I’ve been blessed with the opportunity to go on four other mission trips before last year’s trip to Haiti and I’m thankful for each and every one of them. Every time I’ve returned I am in better spiritual condition than before. Whether it is in remote villages of Mexico or secluded communities deep in the jungles of Haiti, God always finds a way to make Himself present to deliver a powerful and relevant message. With as much access to information as we have these days, it takes two seconds to see what conditions are like in a third world country and that they have little to no resources in comparison to us. For most people, a common takeaway from these trips are things like “be thankful for what you have” and “don’t take the little things for granted”. These messages couldn’t be truer, however I feel that there is a deeper message that lies in mission work. 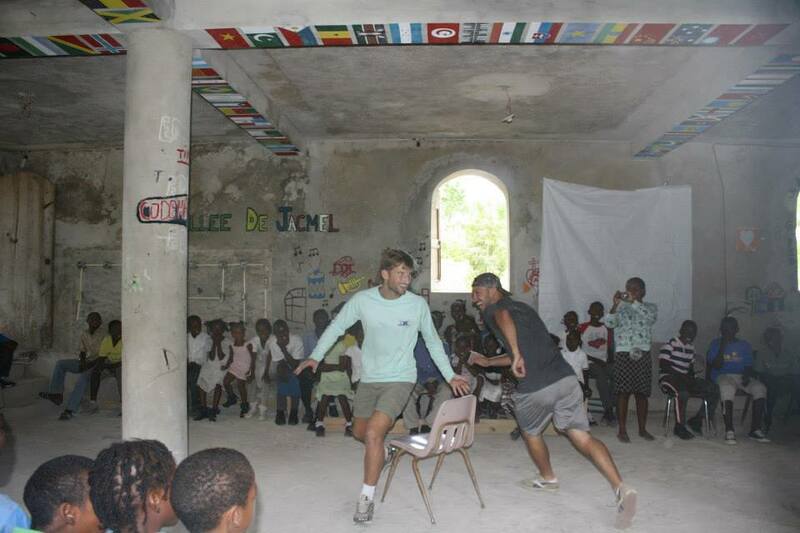 Our trip to Haiti was unlike any other mission trip I’ve been on. Essentially, we were in charge of a “summer camp” for about 300-400 kids between the ages of three and fourteen. By summer camp, I mean an abandoned three-story concrete structure in the middle of the jungle next to a small, rock littered dirt patch with two posts at each end that served as their soccer field. Prior to our first day of meeting the kids, we took the day to walk around the town, see the local market and meet the pastor at the local church. On our way to the market, I made friends with a local boy from the village by the name of Noventi. I noticed that the shoes he had on were filled with holes, so I offered to buy him a pair from the market. His eyes lit up and grabbed my hand and led me to a section of the market that sold shoes. He wasn’t pushy, nor was he selfish at all. He was genuinely thankful that I offered to buy him a pair. To make a long story short, I purchased him the shoes, he said thank you and quickly took off back to his house. For the next few days, we spent almost our entire days in the jungle with these kids doing whatever made them happy. Singing songs, playing soccer or hide and seek, wrestling, literally whatever they wanted to do . I think all the missionaries were confused as to how these kids would arrive by themselves each day in the middle of the jungle with no parental supervision. This led us to concur that many of them come from broken homes and in some cases, sadly, some kids are left to raise themselves. The joy that came to these kids’ faces each day we spent time with them is indescribable. You could tell they were starving for some type of attention and affection and we definitely gave that to them. One day while we were in the middle of a soccer game with these kids, I realized something very basic yet powerful. In some ways, we’re all the same. It doesn’t matter what part of the world you’re from, your skin color, or income level; everyone wants and deserves to be happy. Yet as we grow older and become busier with everyday life, we forget this message and become obsessed with our own problems. Upon the completion of each day and after we finished dinner, we had a reflection of the day where we got to share our experiences if you felt compelled to do so. I loved hearing everyone’s experiences from all different points of view. It was amazing to see some of my closest friends grow in such a positive way. One specific story that I’ll share still gives me goosebumps. It was one of those experiences that you don’t even try explaining as anything other than a small miracle. The last day of our trip, we were invited by the local school for their end of the summer celebration. We were greeted by about 800 kids (all of the kids we had spent the entire week with plus hundreds of other kids from other villages). I was first approached by Noventi, who was wearing the new shoes I bought him at the beginning of the week! He was so proud to show off his nice, new shoes to all of his friends. He hadn’t been wearing them all week because he wanted to save them for a special occasion. Flashback to two days earlier: we spent a couple of hours during lunch preparing gift bags for the kids. We would grab a handful of toys, stickers, and colors from various boxes from our donors, wrap them in a piece of loose leaf paper and seal them with a rubber band. Yeah, we didn’t have bags so we had to improvise. No one kept track of how many bags we were making, we just made them until we ran out of supplies. As the celebration was coming to an end, all 800 kids lined up for a gift bag. The sight of all these kids made my stomach drop. I just knew that there was no way we had made enough bags for everyone and there was going to be a lot of kids who would leave disappointed because they didn’t receive anything. I kept pacing up and down the line trying to get a head count of how many kids were left to see how many bags we would need, then I’d run back up to the front to see how many bags we had left. At one point I remember seeing no more than 50 bags left in our box and there were still well over 100 kids in line. As God would have it, we finished handing out these bags with one left over. Then a small boy frantically ran up exclaiming that he hadn’t received one yet, so naturally, he got the last one. We made the EXACT amount of gift bags for an unknown number of kids that we had not expected. The crazy part is that we weren’t keeping track of the number of bags we made, we were just making them based on the amount of toys we had left. And even if we were keeping track, there’s still no way that we could’ve guessed the exact amount of kids that would be present that day. It’s the small miracles like this that makes these trips so special. As we departed, it was very hard for me to leave Noventi as well as several other kids. We exchanged maybe three common sentences all week, but there’s just something universal about a genuine smile that made us understand everything each other was trying to say. 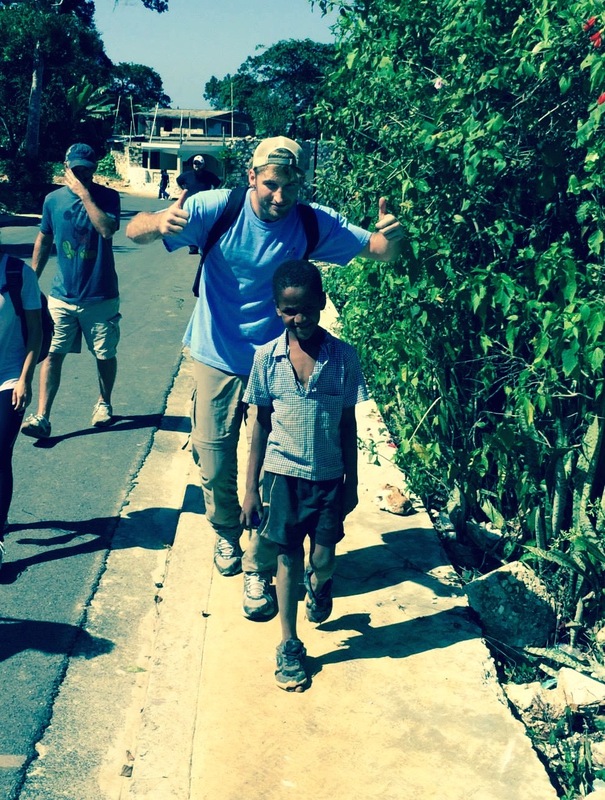 Mission work is about more than just self-realization of how fortunate you truly are. 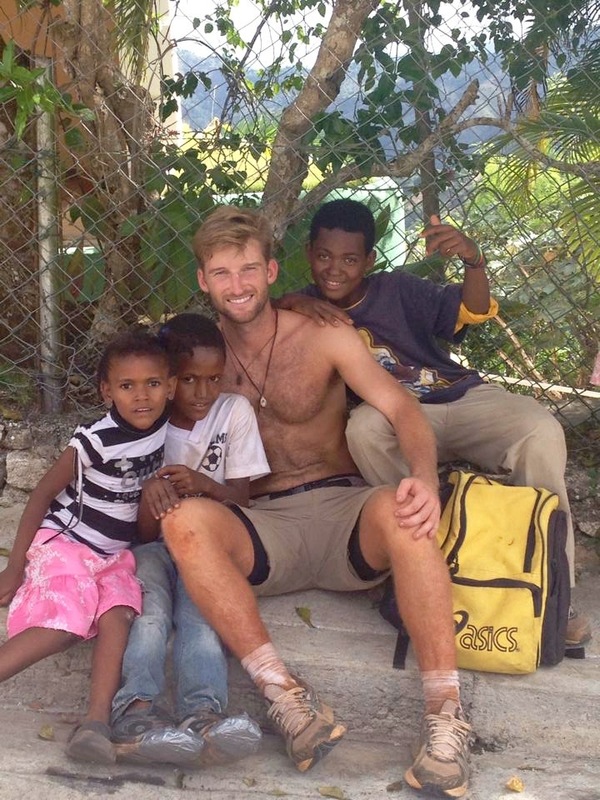 It is a mutually beneficial relationship between the missionary and those on the receiving end. We give our time, effort and tangible things and in return we receive the priceless, beautiful message of how God works in others’ lives, regardless of their situation.